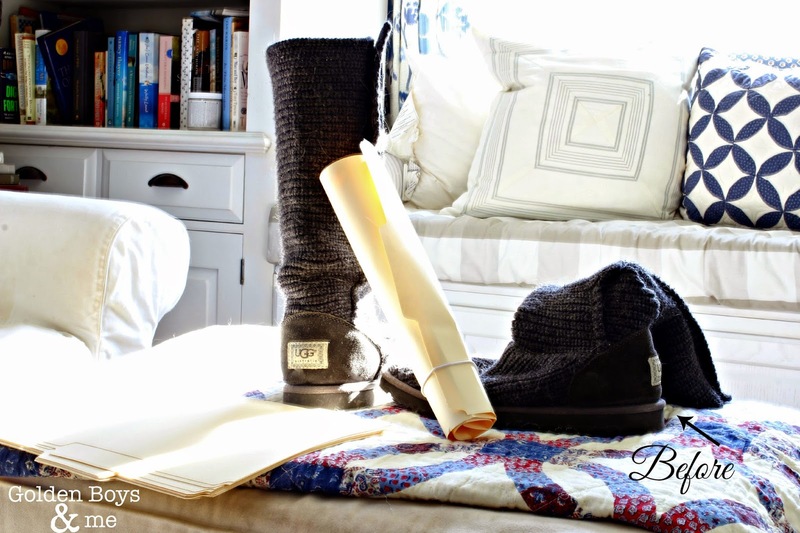 This year, in an effort to share the more real side of our home, I am highlighting some areas that I have never shared before. A couple of weeks ago, I shared our front entryway closet and I have to admit that I smile every time I open that closet to grab a roll of paper towels. 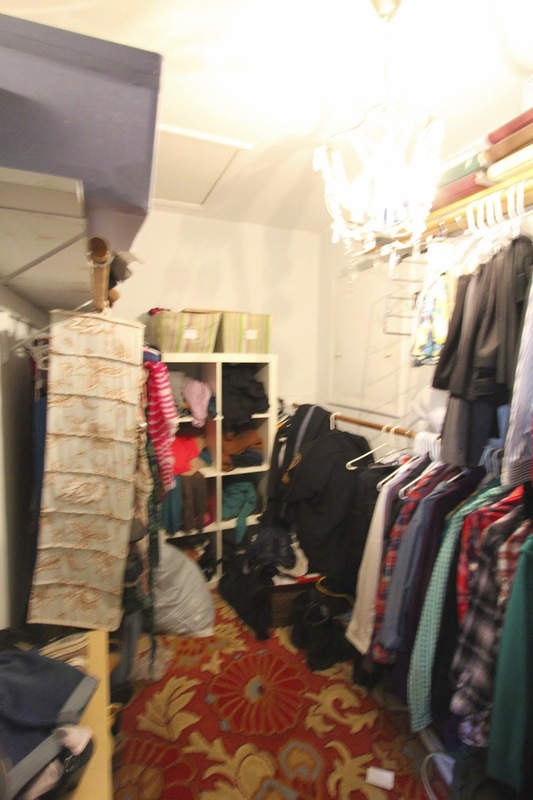 Today, I am sharing our master closet. I never shared this closet when I did the reveal for our master bedroom and bathroom because it definitely wasn't photo ready. 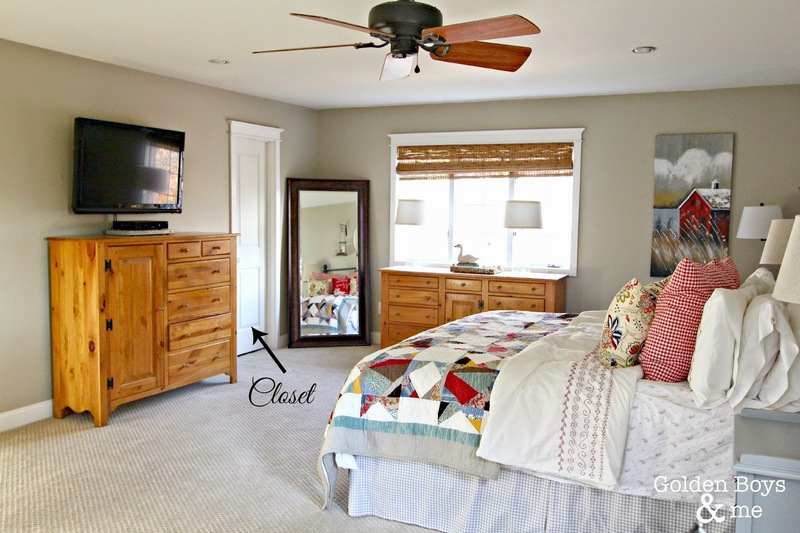 Here is a picture from our master bedroom reveal with the closet door tightly closed, hiding all of our clutter. The floral rug in the closet was once in our family room. I moved it up here when I tired of the busy-ness of it in that space. I was happy to cover up the dull brown carpet that the former owners put in this closet. A couple of years ago, I admired a chandelier in Ikea and said it would be great in our closet, and my husband, Billy, made it happen as he often does. We needed a light fixture, and with Ikea's affordable prices ($39.99), we were able to add some fun elegance to our closet. We also added an Expedit shelving unit(now called Kallax) to the far wall of the closet at that time. Last week, we removed everything from the closet, purged a bunch of stuff, and began trying to find a better system to keep us organized...without spending much money and using the pieces we already had. We started by purchasing some storage bins at Ikea. They came in a variety of cute patterns and sizes and the price was right ($7.99 for each larger bin and also $7.99 for a set of 3 smaller bins). These larger covered bins store bathing suits and summer pajamas while the smaller bins hold some momentos for safe keeping. Over on the opposite side of the closet, we have some simple built in shelves that were there when we bought the house. I added a few Ikea bins here as well. I purchased the turquoise metal basket at HomeGoods to hold linens. I also added our family scrapbooks to our bottom shelf so they are more easily accessible (they were formerly kept on an upper shelf in the closet where they were just collecting dust). 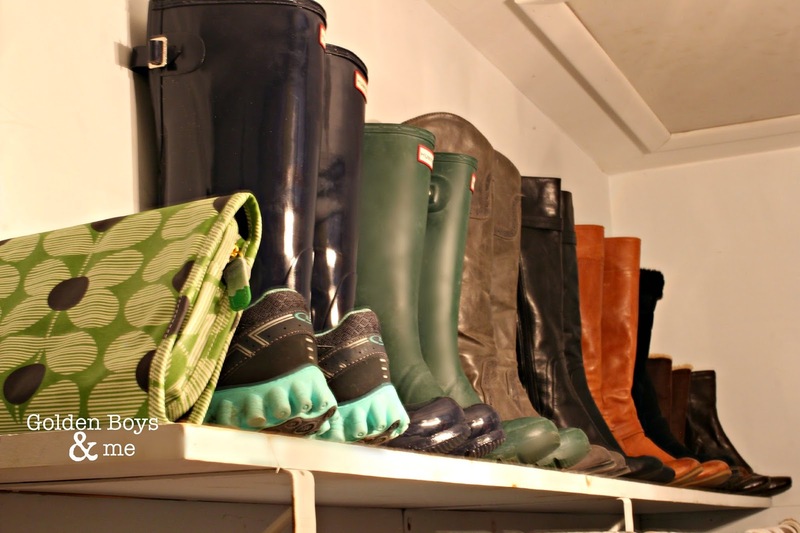 Billy keeps his shoes in an organizer that we have had for years on the bottom of this shelving area. Over on my side of the closet, I purchased velvet hangers from TJ Maxx in some pretty shades of green. 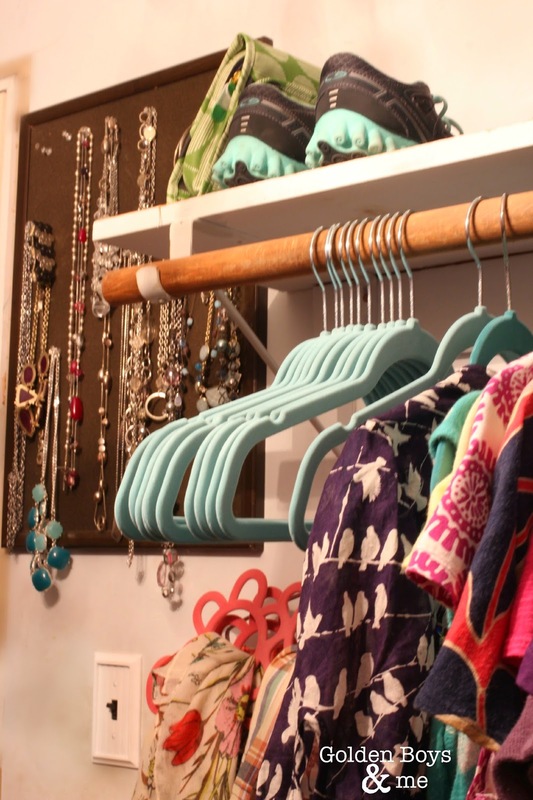 These hangers are the best for actually keeping clothes on the hanger instead of falling on the floor of the closet. I also purchased a couple to hang my scarves on. I added a simple brown pin board (from Staples) to hang some of my jewelry on. 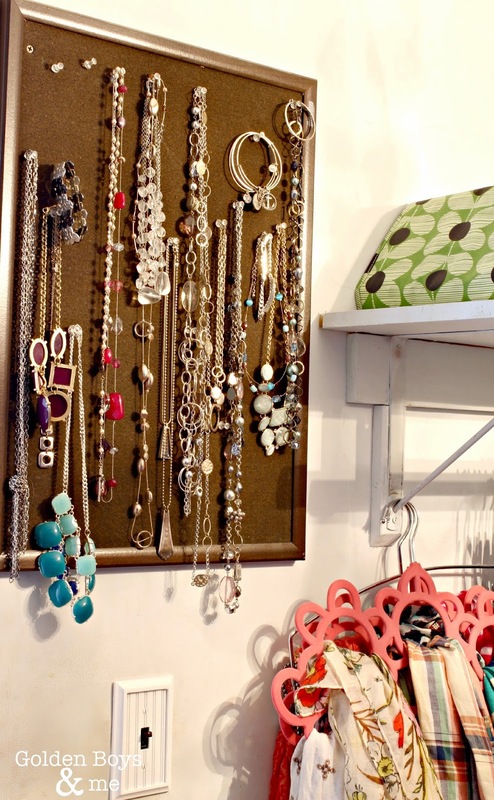 I just use push pins as the hangers. So easy! The plan is to add some pretty fabric to the board but I haven't gotten around to that yet. So much better! Here are my boots all standing upright on the shelf. This closet is still a work in progress and I plan on adding some more affordable charm with maybe a stencil or wallpaper. Plus, I need to change over the hangers on Billy's side of the closet. That side still has the plastic hangers. For now, it is functioning so much better for us. 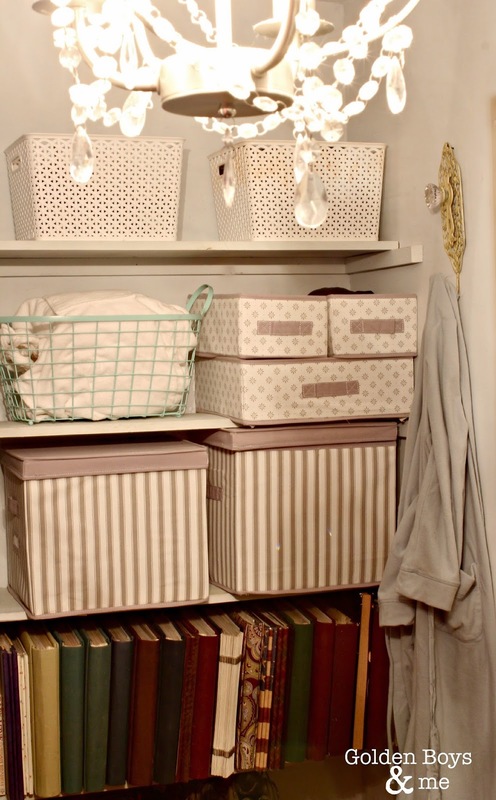 Do you have any tips for keeping things organized in a closet? I would love to hear about it. Thanks Diana! Feels so good to have this done every time I go in that closet. Looks so good Courtney. It always feels so great to purge and organize things. 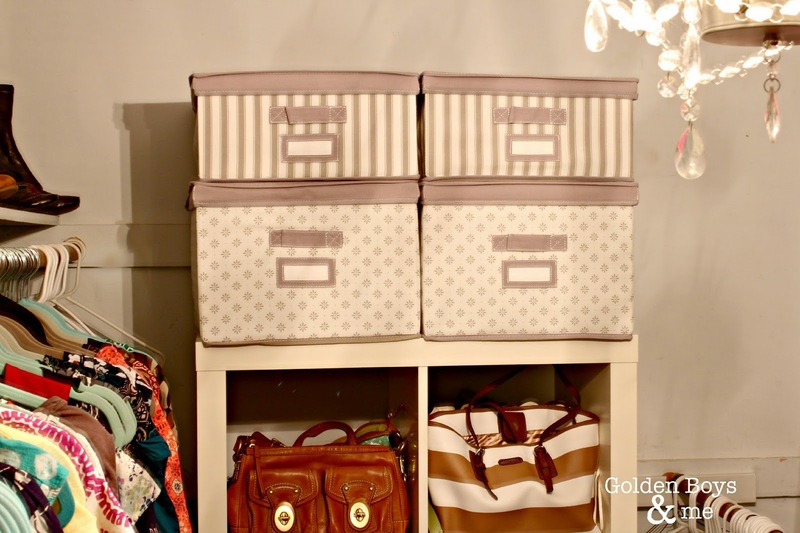 Love your closet organization and the chandy from Ikea is super pretty. Great job. Thanks Kris! It does feel great to get organized. I LOVE it!!! Thanks for the tip on the velvet hangers. Thanks Susan! Happy to hear you found a useful tip. You stampede on t h e part that this isn't your forever home...... Your home is so lovely, I can't imagine you'll ever want to move!!!!! We've been in our home for over 27 years and the thought of leaving gives me a panic attack!!!! Ok, that was supposed to be stumped, lol, although stampede works too! We are just addicted to home renovation :) Once our kids are finished with school, we would love to buy a fixer upper farmhouse in upstate NY. I do love our home, but the amount it costs to live here probably won’t make sense after my husband retires. Sorry to stump you! Hope you and your family are doing well. Looks so amazing, cute & fresh, Courtney! 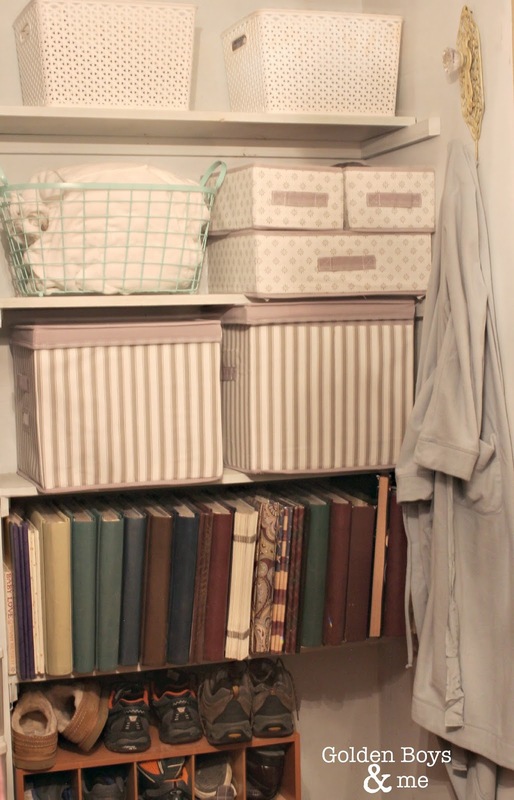 Those storage boxes & the organizers are adorable-so charming & functional ! 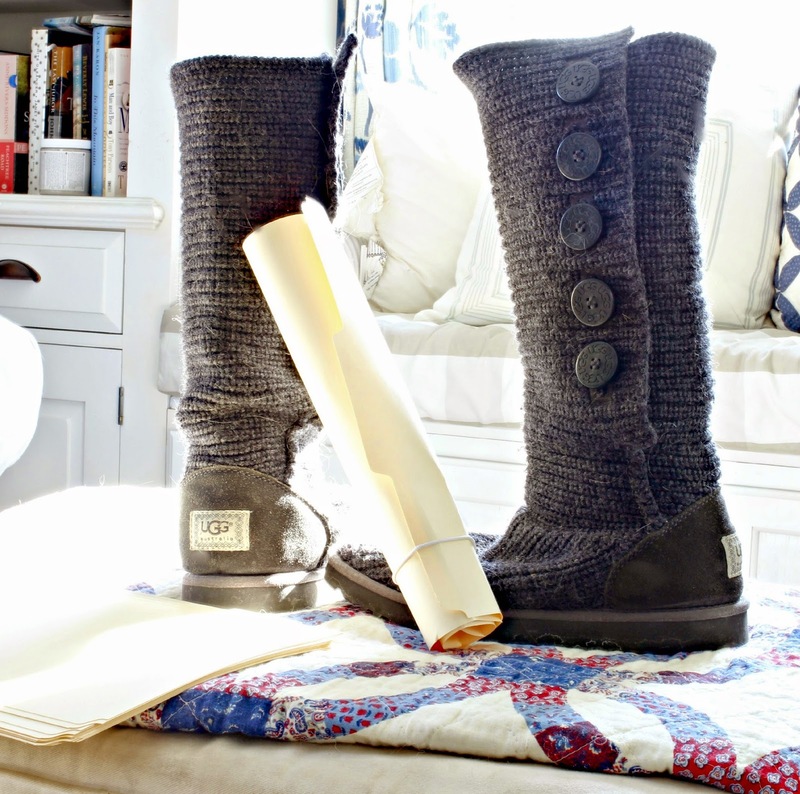 Lots of great ideas, Courtney...I especially love the boot shaper idea! 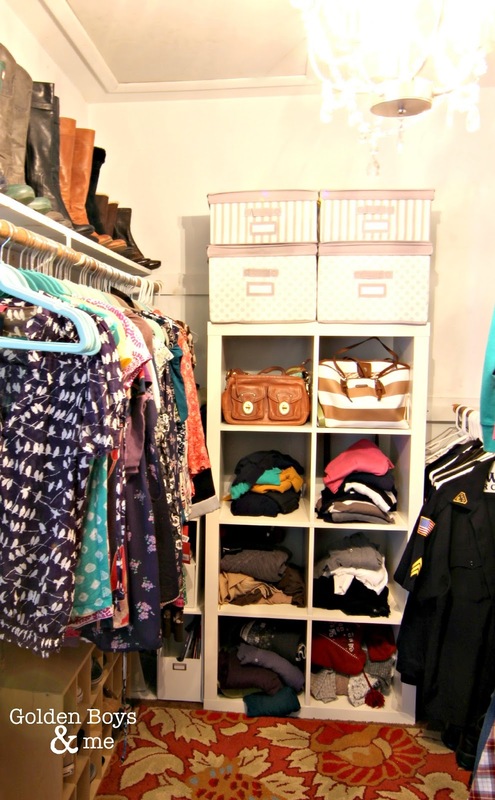 We really need to do a closet organization project in our bedroom! Courtney...your closet looks so great! I have two closets that I have to redo....I need to paint them also! I saw on another blog...I think it was the Pleated Poppy....she uses inexpensive pool noodles (cuts them) to place in tall boots!!! 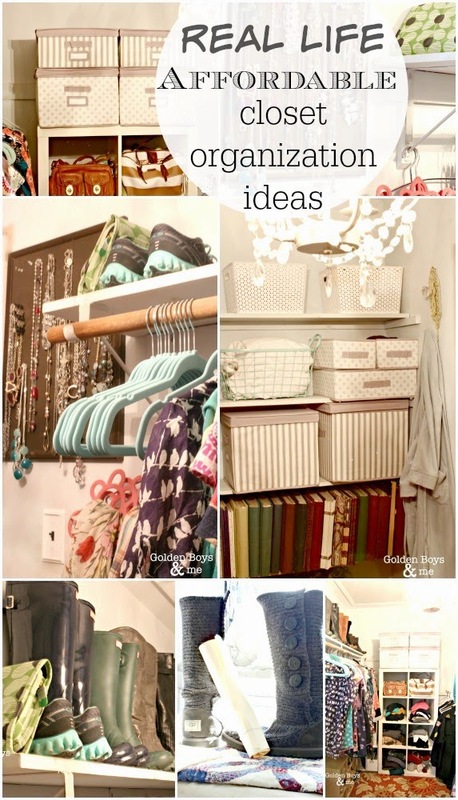 Thanks for the inspiration....I have to get going with my closets! Another great boot stoage idea is a pool noodle, cut to size...and they have them at the Dollar store!! We design, manufacture and install custom closet systems for your home. ... products come with a 10 year warranty and they are made right here, in closet organizer systems Toronto.